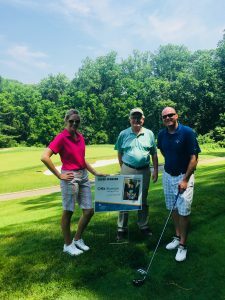 Maple Lawn, MD | June 25, 2018 On June 18th, Offit Kurman employees Joe Crossney and John Brunnett participated in Casey Cares Foundation’s annual golf tournament. The Event was held at the Hunt Valley Golf Club in Phoenix, Maryland. The funds raised will directly impact the uplifting and ongoing programs that aid critically ill children and their families. The nonprofit was established in 2000 and hosts multiple events throughout the year with help from sponsors, including Offit Kurman.